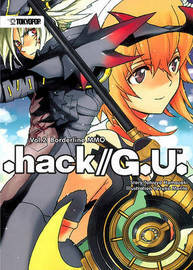 In The World of .hack//G.U.+, the adventure continues in a web of treachery as secrets begins to unravel... Haseo's Avatar, Skeith, awakens to combat Endrance's Macha in a fierce battle. As more information surfaces concerning the AIDA (Artificially Intelligent Data Anomaly) menace and the power of the Epitaphs, Haseo finds himself in a battle against time--he must stop the rogue player killer Tri-Edge before any more of the people he knows become Lost Ones. The clock is ticking as The World faces crisis in the form of the largest-scale AIDA attack ever!